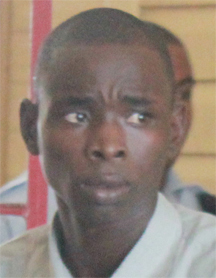 Murder accused Mark Royden Williams and James Hyles yesterday denied that they were involved in the 2008 Lusignan massacre which claimed 11 lives. 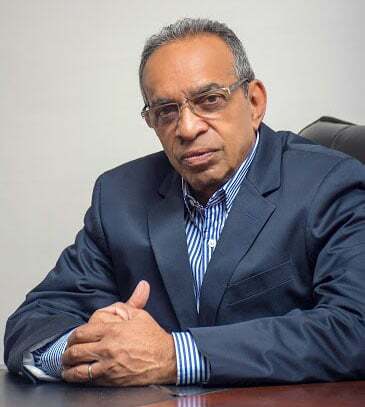 Williams and Hyles made the claim in unsworn statements after they were called upon to lead their own defence by Justice Navindra Singh, who is presiding over the matter in the High Court. 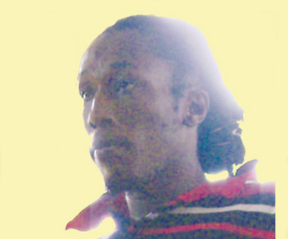 Williams stated that about 10:30 in the morning on June 15, 2008 he was at his cousin’s house in Cummings Lodge when the police arrived and told him that he was wanted at the police station concerning several murders. “I tell them that they got the wrong man and they tell me that they need me to go down to the station,” Williams said. 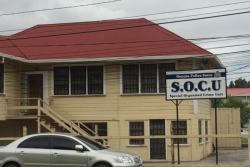 Williams recounted that he was taken to the Criminal Investigation Department (CID), Eve Leary and then into the office of Assistant Superintendent Trevor Reid by policeman Suraj Singh. 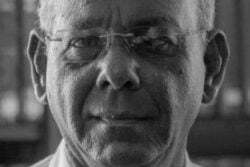 He testified that Singh handcuffed his hands behind a post in Reid’s office and several officers including Singh, Mr Sarabo and Mr Naraine, started beating him and asking him about ‘Fineman’s’ location, and who did the killings at Lusignan. Williams said he kept telling them he had no knowledge about ‘Fineman’s’ location and he was unaware of who had committed the crime. He attested that Reid then sent Sarabo for two things. “One was long and one was short and Singh take one and Naraine take the other one and they start putting it on me and then I get to know is something that does shock,” Williams said. 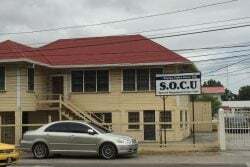 Williams said that the beating went on for approximately 40 minutes, after which he was taken to a room at the back and then to the Brickdam Police Station later in the evening. The following Monday, he related, that he was handcuffed to the post once more and the beating began again. He also said that he was made to cross the room 1,000 times on his knees. 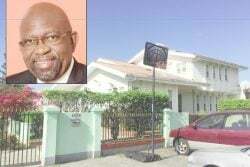 He stated that he only learnt he had a lawyer when attorney Roger Yearwood went to CID and told Reid that he was there in connection with Williams. “That’s how I get to know he was my counsel and I said to him that they beating me, shocking me and asking me about things I don’t know about,” Williams said. He attested that after Yearwood left he was taken to the room once more and beaten again for telling his lawyer that he was being beaten. After this, he said, a hat was placed on his head and methylated poured on his head. He was then told that they would be giving him something to sign and he needed to sign it for the beatings to stop. Williams testified that a paper was then given to him that already had writing on it and he was told where to sign. “I had to do it for them to stop the beating because I couldn’t take it anymore. When I finished signing they stop beating me and take me into the room at the back and Singh tell me that I had to continue walking on my knees,” he said. 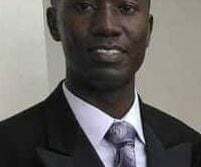 Detective Corporal Rodwell Sarabo who was called as a witness for Williams denied that he or anyone else tortured Williams. 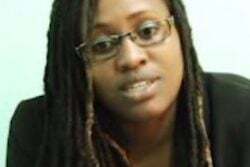 Senior State Counsel Judith Gildharie-Mursalin who is representing the state along with Tishana Lake asked the corporal if he was present when Williams was giving his caution statement, to which he replied no. Sarabo testified that he never told Williams to talk so that the beatings will stop, nor that he was present when Williams claimed he was being beaten and that he never heard him complain that he was beaten. 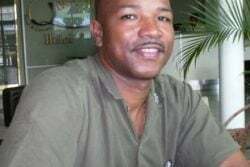 Attorney Peter Yearwood then told the court that the defence for the number one accused was closed since the other witness they intended to call, Williams’s grandmother, was unwell and couldn’t make it. 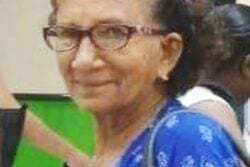 Hyles told the court that he was innocent of the crime and that on the night of the incident he was at home with this grandmother, sisters, aunt and cousins watching 20/20 cricket. He related that after running the channels around 2 in the morning he saw something on the television showing that 11 persons had died. “I wake up my aunty and I tell she watch wah going on on the television. 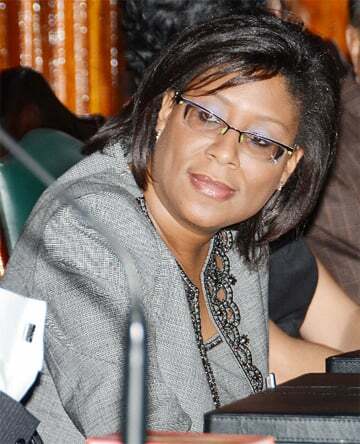 She turn and say how the person them that do this ain’t get no heart, then she tell me don’t leff the house in the morning because when anything go on in the village them gon come in here,” Hyles said. He stated that he kept telling them he was a bus conductor and knew nothing about the murders. “I keep telling them me ain’t know about the murders. 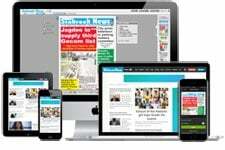 I start crying and telling them I don’t know anything,” he said. “When they take me to the court in town I see a big man and tell he please for a call to my mother and when she come I tell she how they going and charge me for Lusignan murder that me ain’t know about and my mother get blackout… When they were reading the charge to me my mother come and start holler out and I start cry,” Hyles added. 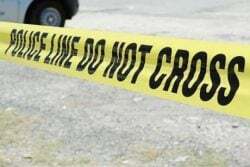 Hyles and Mark Williams are accused of murdering 48-year-old Clarence Thomas, his 12-year-old daughter Vanessa Thomas and his son Ron Thomas; 32-year-old Mohandai Gourdat and her two sons, four-year-old Seegobind Harrilall and ten-year-old Seegopaul Harrilall; 22-year-old Shazam Mohamed; 55-year-old Shaleem Baksh; Seecharran Rooplall, 56, his wife Dhanrajie Ramsingh, 52, and their 11-year-old daughter Raywattie Ramsingh, on January 26, 2008.